“ It doesn't get any better than the Pimentels!! Our private roadway with 25 homeowners is beautiful! I'd hire them again in a heartbeat.” — Suzanne C.
“ I really liked the quality of work and workmanship. They also did the job on time as promised. ” — Marina G.
“ Joe is a wizard at his trade and has a hardworking competent crew, a professional at every phase. Thank you Joe and crew!” — Sam B. 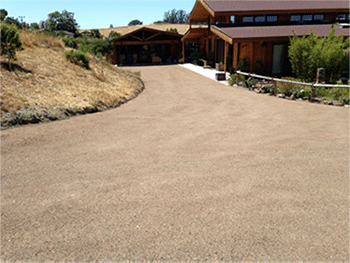 “ Pimentel Paving did an excellent job on our shared private road. We were extremely happy, and Mr. Pimentel didn't leave until it was perfect!” — Adriana T.
“ Pimentel Paving paved our steep, challenging driveway. They were efficient, amazingly hard-working, and a pleasure to work with.” — Sam B.
Pimentel Paving Inc. is a licensed paving company in business since 1990. Our superior reputation is founded on providing top-quality customer service. We really listen and take the time to understand your needs and ensure you get what you want. We treat every project as if we were working on our own home, to give you the personal attention you deserve. We will plan your paving project around your schedule and commitments, taking into consideration events—from parties to trash collection—and coordinate with other contractors onsite, such as gate installers and carpenters. In addition to base rock and surface paving, we offer a wide range of high-quality services, including demolition and removal of entire surfaces, redesigns to improve drainage, installation of culverts and ditches, seal coats and asphalt repairs. 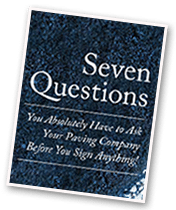 We’d be happy to talk to you about your next project and provide straightforward answers to all your questions. Browse our website to see our Project Gallery and learn about our asphalt stamping, emulsion seal, chip seal, Terra Pave and StreetBond services. You can also see our jobs in our primary service areas: Sonoma County, Marin County, and Napa County.